Please Note: The information on this page is now out of date. We are unable to accept grant applications for oil boilers at the moment, however you may still be eligible for funding elsewhere. 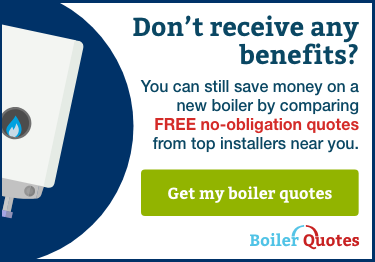 Did you know that you could be eligible for a FREE grant to replace the oil boiler in your home? The rising cost of domestic energy supplies makes it difficult for many families on low incomes to heat their homes effectively and affordably. That’s why the government established the Energy Company Obligation (ECO for short). ECO requires energy companies to improve insulation and make heating improvements to qualifying households. In some cases, grants are available to fit brand new oil boilers. ECO gives people the help they need to heat their homes in a more energy-efficient way – and that helps them reduce their energy bills. Having a well-heated home can also help people stay healthy through the cold winter months. Energy companies in Great Britain have more than 250,000 domestic customers. 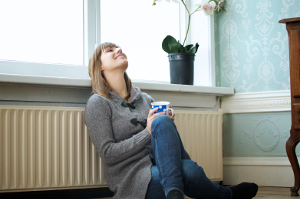 The ECO scheme gives companies like British Gas, Scottish Power, EDF energy (and many others) a legal obligation to help customers on low income to save money on their heating, through better insulation and more efficient heating. 3. What can you claim under the Affordable Warmth Obligation? The Affordable Warmth Obligation is a part of the ECO scheme and covers grants to help fund home insulation improvements, boiler repairs, and, in some cases brand new boilers. The scheme since ECO2 started in April 2015 has always included oil boilers – however no one has been offering oil installs until now. There are lots of good A-rated oil boilers on the market which provide really efficient heat for the home as listed below. If you are successful in your application it’s likely that your new oil boiler will be manufactured by on the of the following companies. While the final choice of boiler will be made by the supplier completing the installation, here is a little background on the leading manufacturers in the UK. If protecting our environment is important to you, then you’ll love Grant. Ecological responsibility underpins their operations and, in addition to energy efficient oil boilers, they also develop renewable products such as solar, biomass, air source heat pumps and energy management systems. Grant is an award winning company with many endorsements including the Energy Savings Trust, Clearskies, Benchmark and the Solar Trade Association. Their products have also previously achieved Which? Best Buy status too. To support their environmental responsibilities Grant manufacture ultra high efficiency condensing oil boilers; the Grant Vortex and VortexBlue oil-fired condensing boiler ranges deliver up to 93.3% gross efficiency. There are over 60 variations of Grant oil boilers with outputs ranging from 12-70kW. For homes that need to keep their oil boiler outside, Firebird is a great choice manufacturer. Although originally established in Ireland in 1980, today they distribute their products all over the world. The company manufactures both internal and external oil boilers ranging from 12 – 100kW in over 60model variation, as well as range cookers and solar thermal systems. Firebird Heating Solutions developed the UK’s first Blue Flame oil fired condensing boiler for the domestic heating market: EnviroBlue™ and Enviromax™ Blue Supreme ranges utilise the latest Riello RDB Blue Flame technology burners. Heating oil is atomised at a high pressure before being mixed with air and ignited. Hot combustion gases are then re-circulated through the burner blast tube via a specially designed slot. The result is a blue flame with near perfect combustion. This not only improves fuel efficiency and which should reduce annual heating costs but also reduces your home’s carbon footprint. Mistral is a proudly British company which has been producing oil-fired heating solutions for over 40 years in Shropshire. The product range includes Standard and Mega combination oil fired boilers ranging from 15-70kW and Sealed Systems models. Mistral can manufacture EVERY boiler in their range as indoor, outdoor, condensing or non-condensing. The Mistral boiler design includes “an innovative central waterway Y-section that achieves the best heat transfer result giving better outputs, smoother running and greater efficiencies”. Mistral’s condensing oil boiler can reach efficiencies of up to 93%. Warmflow has been supplying homes in both the UK and Ireland with heating solutions for over 45 years. The product range includes the UK and Ireland’s first AA rated combi boiler. The company also produces hot water cylinders, ground source heat pumps and wood pellet boilers, all of which are manufactured in Northern Ireland. Warmflow oil boilers include the Riello burner, a plastic flue system and inbuilt temperature control for safety. The U-Series oil boiler is designed to be as compact as possible so it can fit into most standard kitchen cupboards and is available in outputs between 15 – 44kW. The company also offers an external oil boiler range, the K-Series (15-44kW), and the B-Series which is specifically designed for installation in garages and boiler houses. Worcester Bosch is a well-known brand in heating solutions with over 50 years of expertise underpinning their reputation as a market leader. In addition to holding the Royal Warrant for supplying boilers to the Royal Estate of Sandringham, their boilers have been awarded the Which? Best Buy award for 7 years running and include a 5 year warranty as standard. The Worcester Bosch boiler range is called Greenstar with oil boilers either falling into the Danesmoor or Heatslave II lines. They produce combi, system and regular boilers which suitable for installation in the kitchen, utility room or outside the home. They also produce a range of additional control options including programmable room thermostats and intelligent weather sensors. Before ECO, we had the Warm Front scheme. It was very well publicised and generated a lot of interest, but Warm Front ended in 2013. Don’t worry if you missed out on Warm Front – the benefits on offer through the ECO scheme are almost identical. You can learn more about the Warm Front becoming ECO here. People in Northern Ireland are not eligible for ECO, but can claim Warm Homes Grants instead. If you’d like to find out more, check out the Home Heating Guide for more information on the grant and how you can apply. ECO is not available to people living in council properties. But homeowners and private tenants can apply. If you’re a tenant, you’ll need to get permission from your landlord first. To qualify for an oil boiler grant you must receive specific benefits. You’ll find all the details you need on our qualifying criteria page and an overview list below. Just fill in our quick form to see if you are eligible. Pension Credit (Both Guarantee Credit and Savings Credit or Guarantee Credit Only). In order to qualify for a replacement oil boiler, your current boiler needs to run at less than 86% efficiency. 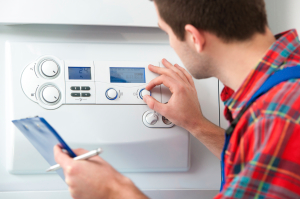 The older the boiler is, the more likely it is that it will run less efficiently. So your boiler will need to be at least eight years old. In some cases, the full cost of a new oil boiler will be covered by the grant, but it’s more likely that you’ll need to pay something towards it. The good news is that it will be far less than you would normally pay for a brand new oil boiler. 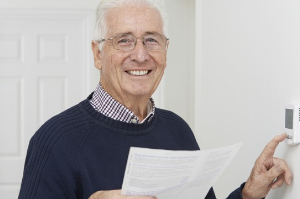 You’ll see some big savings on your energy bills too – our recent surveys suggest that some people are saving up to £200 a year with a new gas boiler. 11. It’s easy to apply! To get started, you just need to enter your postcode and answer a few simple questions. That will help us work out if you will be eligible. After that, we’ll get one of our friendly team to get in touch at a convenient time, just to confirm your details and talk you through the process. You’ll have the chance to ask as many questions as you like. We’ll arrange for a qualified surveyor to visit your home to approve the grant and to make sure everything is ready for the installation. Finally, an installer will install the new oil boiler – and you’ll start saving on your energy bills!